Guess Who Will Be At Arts in the Heart? 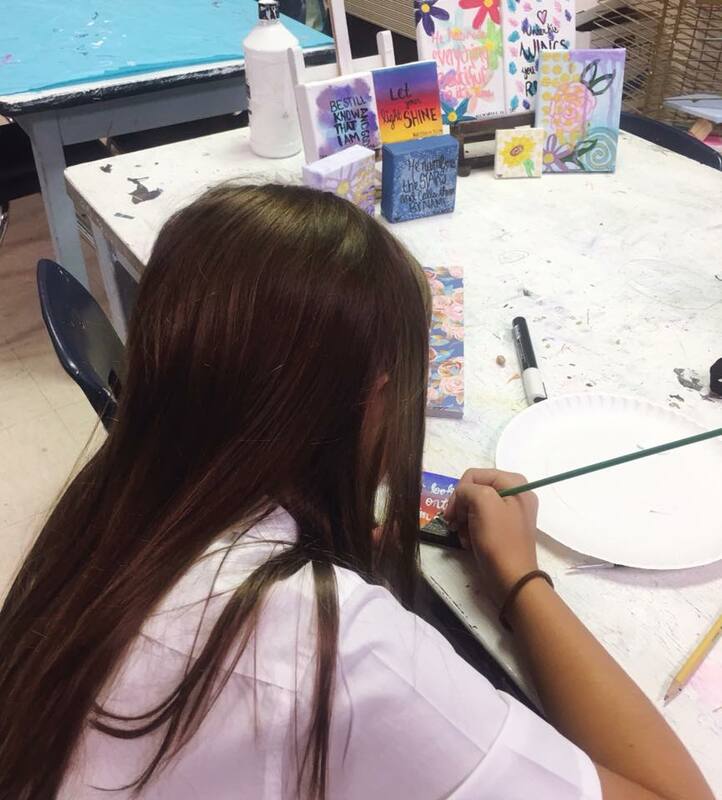 EDS is proud to announce that Sara Beth Trotter (7th grade) will be selling her art for the second year in a row at Arts in the Heart! 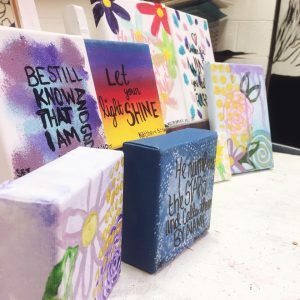 Being able to participate in this festival as a vendor is very special for Sara Beth because she has been attending Arts in the Heart since she was a little girl. 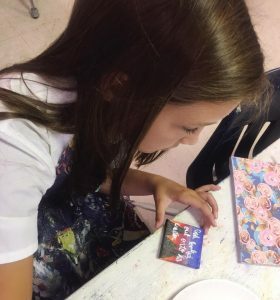 This budding artist loves colors, patterns, and florals and enjoys incorporating bible verses into her pieces. 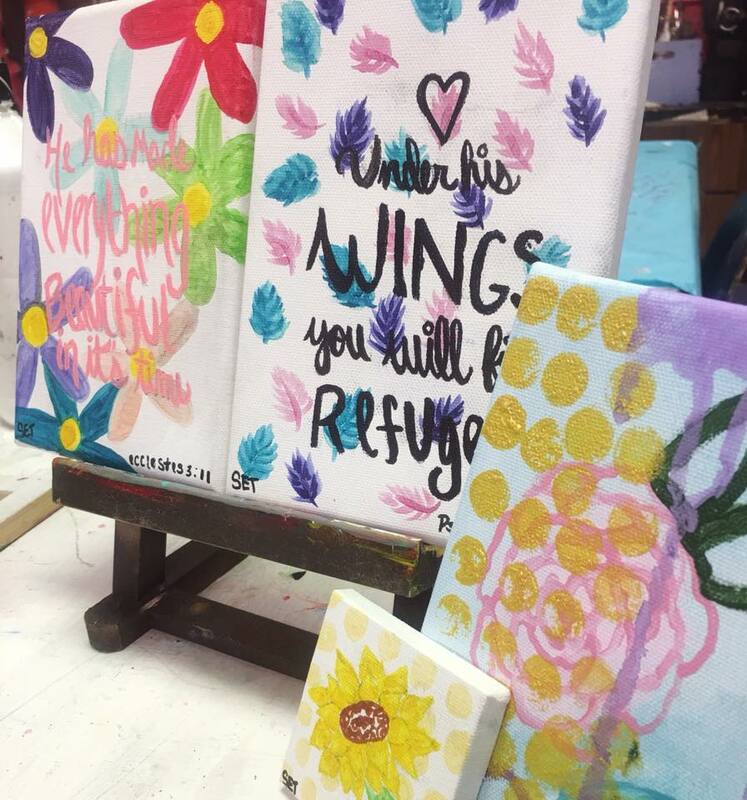 She was inspired by a bible verse poster in her 5th-grade classroom and has been incorporating scripture into many of her pieces ever since! Sara Beth really wants to encourage other young artists to participate in the festival next year. The idea of putting yourself out there can be really scary, but Sara Beth encourages those who are interested to just go for it! “At first, I was really worried about not selling much,” Sara Beth explained. “But I was pleasantly surprised!” Last year, Sara Beth sold out after several hours at the festival and made close to $200. She sold artwork to friends, family, and (much to her surprise) people she had never met before! All of her pieces are priced under $10 and every year, she donates a portion of her proceeds to the Children’s Hospital. 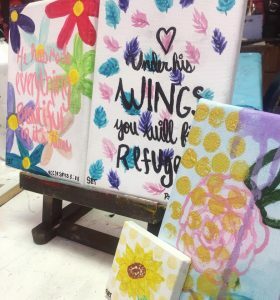 She also sells her artwork on her personal Instagram account. We hope to see you next weekend! You can find Sara Beth at Arts in the Heart this year in the Student Section! This year, the festival takes place the weekend of Sept 14-16 and is located on Broad Street.